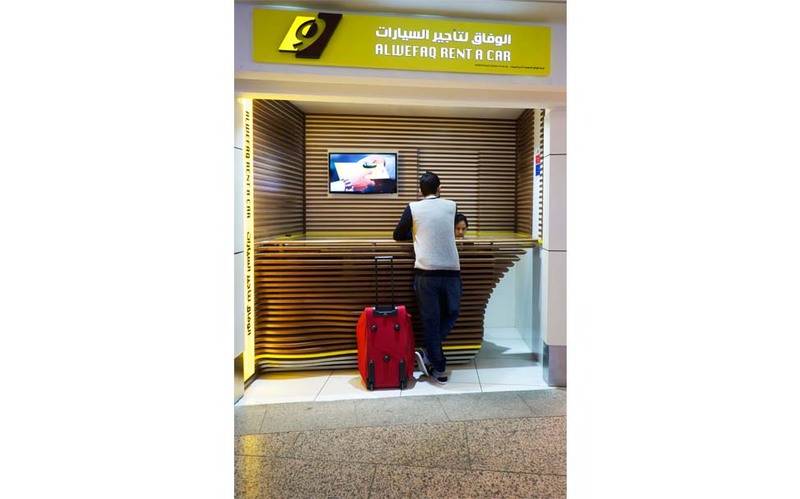 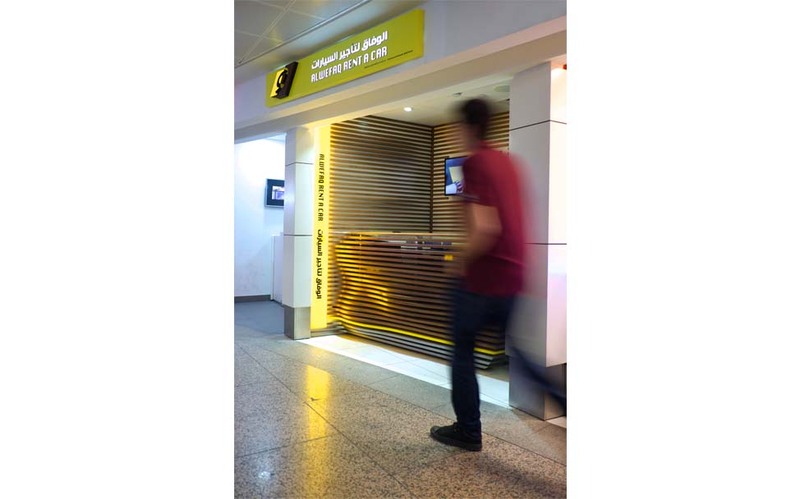 Located at Dubai’s international airport T1, Al-Wefaq car rental kiosk was remodelled to portray a new fresh image while still maintaining a brand identity. 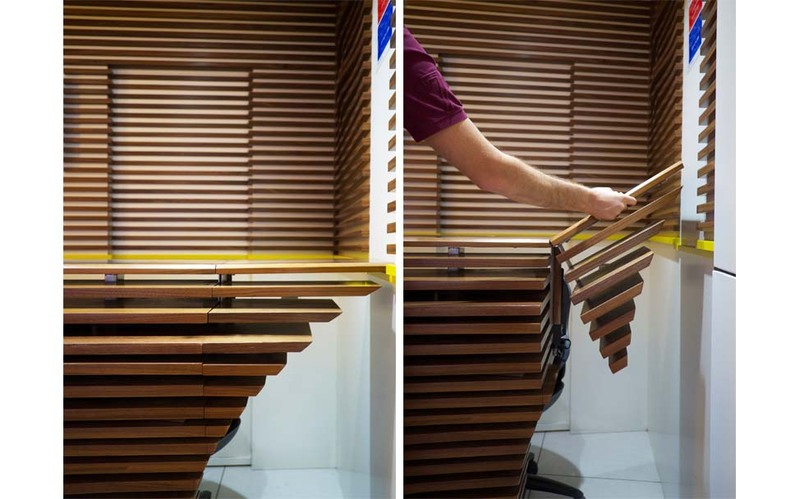 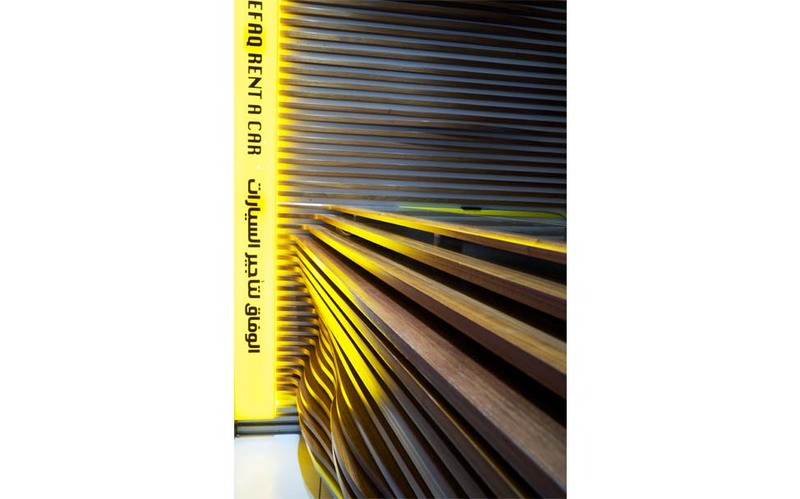 Following a “peel away” concept, the kiosk took form to look as if the wood has been stripped off the wall to form its counter and furniture. 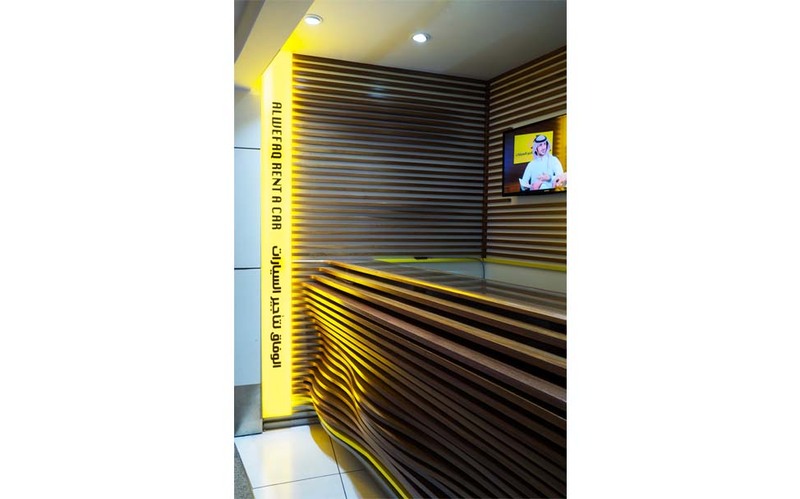 Using walnut and coupled with marine grade manufacturing, the kiosk went from drawing to reality with the utmost levels of fit and finish.